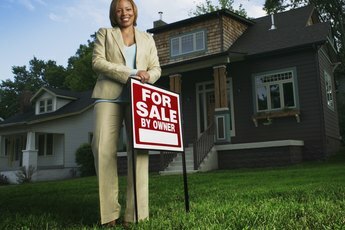 If you're looking for a good deal on a home (and who isn't?) you may want to consider the Freddie Mac First Look Initiative. This program is offered through HomeSteps, which is Freddie Mac's real estate sales unit. The First Look Program allows you to make bids on homes owned by Freddie Mac. The First Look initiative gives home buyers who plan to live in a home an advantage and head start over investors when Freddie Mac lists new homes in your area. 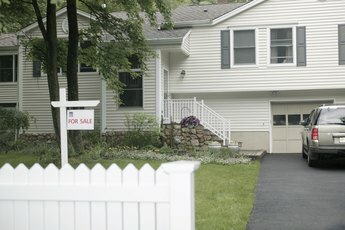 Foreclosure homes that are owned by Freddie Mac are marketed through the company's HomeSteps program. Under HomeSteps, these homes will be marketed and sold by local real estate companies selected by Freddie Mac. The First Look initiative states that when a new home is listed, HomeSteps will only accept offers from the owner occupant, second home buyer or community stabilization non-profits for the first 20 days after the home is listed on the local multiple listing service. You have 30 days if the home is in Detroit, Michigan, Cook County, Illinois or in Nevada. During that time, the home may not be sold as an investment property. Freddie Mac homes for sale are also listed on the HomeSteps website. To make an offer on a Freddie Mac First Look home you must make your offer through a licensed real estate agent. The HomeSteps website has a page to enter your location to find agents working Freddie Mac deals in your area. Find an agent experienced with taking successful offers to Freddie Mac. Interview several agents and talk to some of their customers before settling on the agent. A large portion of your success in obtaining a Freddie Mac First Look home at a good price depends on the experience and skill of your real estate agent. Obtain home loan financing pre-approval before making any offer on a Freddie Mac owned home. Without pre-approval or proof of funds for a cash purchase, your home purchase offer will be rejected. Work with a lender who is aware and understands any special financing programs Freddie Mac may be offering. With your financing approved you know how much you can afford to offer on a foreclosure homes. Your pre-approval financing amount will help you sort through the available Freddie Mac homes in your area. With your financing lined up and agent ready to go, you are set to go look at First Look homes when they are listed in your area. Your agent should update you on a regular basis on homes coming available in your area. Once you have found a home you want to buy, work with the agent to put together an offer and deliver it to the real estate company listing the home. Remember, you have 20 days in most locations to get your offer in under the First Look guidelines. The listing real estate company can accept your offer, make a counter offer or accept an offer from another buyer. Be prepared to move on for another try if your offer is not accepted. 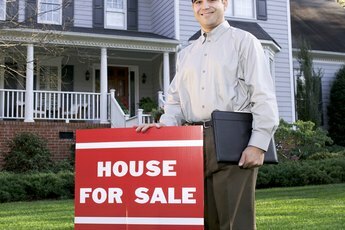 What Is My Out of Pocket Expense When Selling My Home? How Can I Buy an Owner-Financed House With Money Down?